A persona in user-centered design and marketing is a fictional character created to represent a user type that might use a site, brand, or product in a similar way. Whether you’re developing a smartphone app or a mobile-responsive website, it’s very important to understand who will be using the product or service. You first need to understand your users and their needs. What issues and pain-points do they currently face within the given context? Understanding the needs of your users is vital to developing a successful product/service. Well-defined personas will enable you to efficiently identify and communicate user needs. Personas will also help you describe the individuals who use your product, which is essential to your overall value proposition. Personas help with strategizing and making smart design decisions. This can include color. Start thinking of some of products/services that you use and notice the color and general feeling of their marketing. They are created but not used. They are created by the team with no buy-in from the administration. People don't know what personas are and why they are useful. Stakeholders have to be educated. 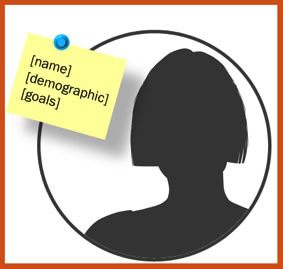 Personas should be used with a well-defined goal in mind. A good way to start is to a more general persona for your company and then create a very specific one(s) for a project you are promoting.